BRIGHTON, Mich. - It has been officially announced that production of the Shelby Ford Mustang GT350 will stop after the 2014 model. Orders for the customized Mustang will be taken through the end of the year, but stopped after the 2014 Mustang. When asked why production will be ceasing, the president of Shelby American stated that it needs to keep the Shelby GT350 limited. 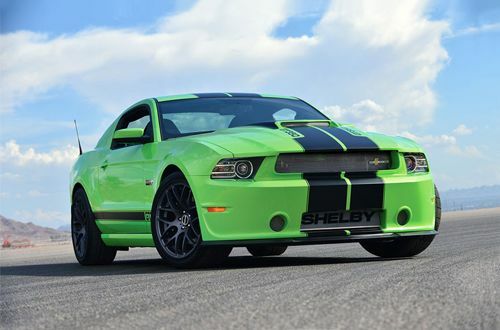 One of the biggest appeals of buying a Shelby Ford Mustang GT350 is that it is a limited production vehicle that is highly valuable and collectible. By stopping production of the GT350, Shelby American can ensure that their vehicles stay valuable and limited. 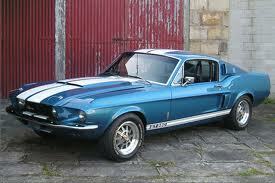 The first Shelby GT350 debuted on January 27, 1965 in Riverside, CA. The release of this vehicle was a great moment in automobile history, since it was the first time that a bigger engine was put into a small, lightweight car. The current Shelby Ford Mustang GT350 has come a long way since the first - considered to have the most powerful production V8 engine on earth, this vehicle is a dream to drive. It has a 5.8L DOHC 32-valve V8 engine that can produce 662 hp and 631 lb.-ft. of torque. Although the production of the Shelby Ford Mustang GT350 will stop after 2014, there's still time to get one of these collectible vehicles. If you're interested in ordering the Shelby GT350, or looking at Ford Mustangs in general, stop by our New Hudson Area Ford Dealership today! We have a great selection of New Ford Trucks and Ford Cars For Sale. No matter if you're looking at the Mustang or something else altogether, our experienced and friendly staff is more than happy to assist you!